Thank you to Dietrich Neu and Prestige Magazine for the article from February 19, 2016. 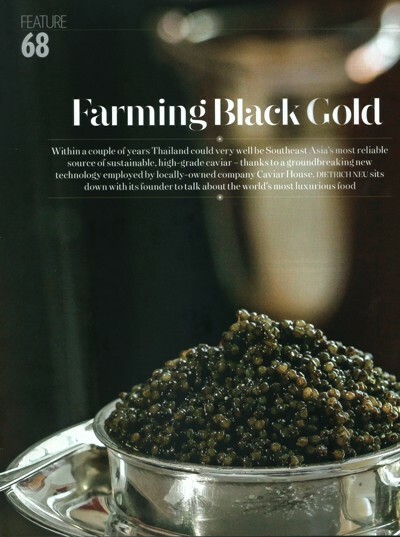 Within a couple of years Thailand could very well be Southeast Asia’s most reliable source of sustainable, high-grade caviar – thanks to a groundbreaking new technology employed by locally-owned company Caviar House. Dietrich Neu sits down with its founder to talk about the world’s most luxurious food.